Al-Rawi said for that reason he wanted to steer clear of any controversy arising, as he was a witness in the case. “I am conflicted. I am a witness in the matter, and I will simply refer to the facts,” said Al-Rawi, who has found himself in some hot water with both the magistrate and Ramlogan’s attorney. During a case-management conference on Tuesday, Chief Magistrate Maria Busby Earle-Caddle is reported to have expressed surprise that the AG had announced the date for the start of the case. Ramlogan’s lead attorney, Pamela Elder, SC, also complained about the prejudicial effects the AG’s statements could have and asked for an apology for what she termed “false and misleading” statements. In response to a question from Newsday, after the illumination of Independence Avenue, San Fernando, on Wednesday evening, Al-Rawi sought to clarify the context in which he made certain statements. He said the case was called and reported in the Daily Express with a headline that was totally different from the article and based mainly on the statements of Elder on behalf of her client. 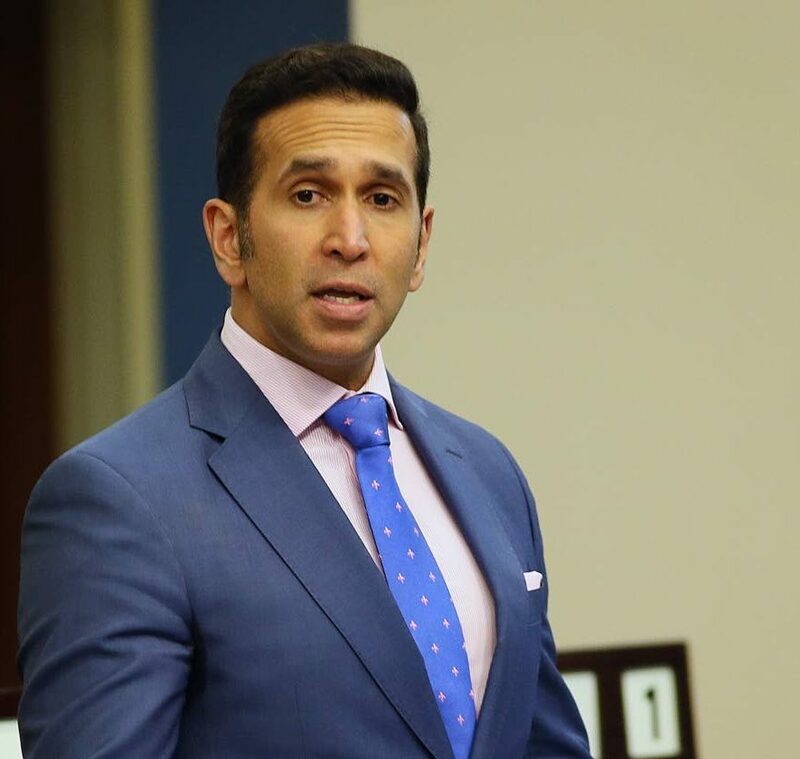 To Elder’s request for an apology, Al-Rawi said, “Mrs Elder is a wonderful advocate and a very experienced attorney doing the best for her client. Her client, Mr Ramlogan, deserves his day in court to vindicate himself or to be convicted. “I make no pronouncements in the matter. I am a witness in the matter, so obviously I clearly have a biased point of view in terms of the witness evidence. So it would be inappropriate of me to cast an aspersion against Mr Ramlogan wearing the hat as AG. I don’t want to do that because I am conflicted, I am a witness in matter. Ramlogan was charged in 2017 with perverting the course of public justice and misbehaviour in public office after Police Complaints Authority director David West reported to the police that Ramlogan asked him to withdraw a witness statement in return for his selection for the job of PCA head. Reply to "AG delares bias in Ramlogan witness-tampering case"